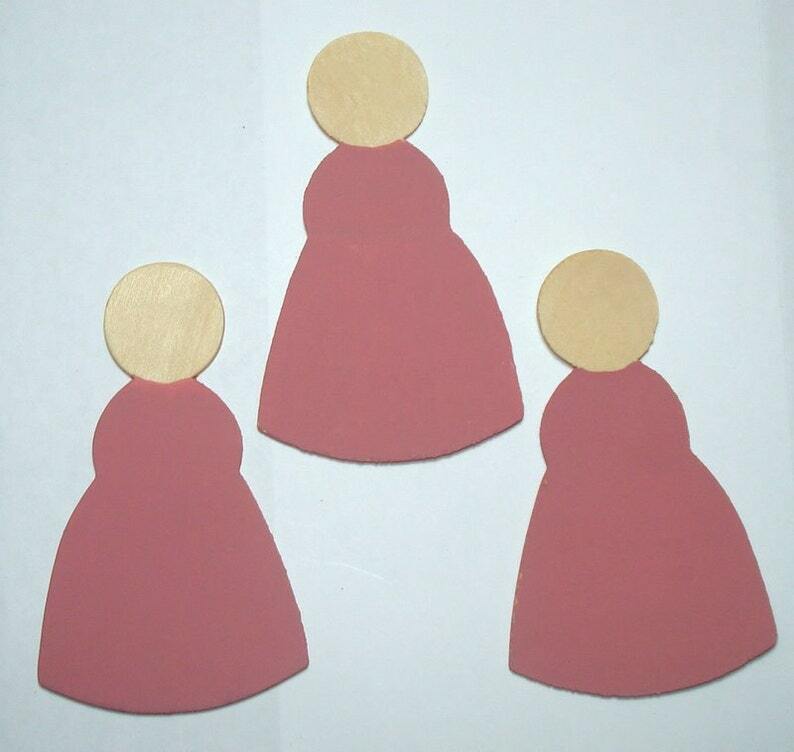 Unfinished wood cutouts of a woman figure. Set of 3. Perfect for primitive crafts or just add wings and it can be an angel! Would make great ornaments. Dress is already painted pink, would need a second coat or you can change the color. You get the 3 shown in the photo. Questions? Please ask! Would you like to see more wood cutouts? I'm happy to combine your shipping and I do ship worldwide.